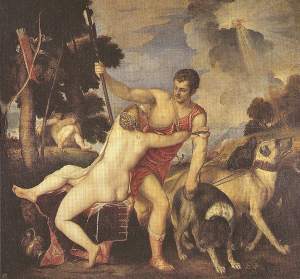 Here you can have a look on pictures of famous greek mythology paintings,which are kept in the museum "Museo del Prado" in Madrid, Spain. As you can see, next to each picture there is a small description, where you can read some details about the painting, such as the name of the painting and the name of the artist, the approximate year it was completed, the name of the museum that the painting is now kept and finally some words about its theme. When you browse, you can see a larger version of any picture by clicking on its image in the gallery. The larger picture loads inside a window on the same page, which you can close by clicking anywhere on the image. 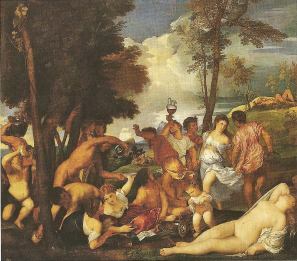 Theme:People of island Andros celebrating the arrival of god Dionysus. Theme:Portrait of the three Graces. 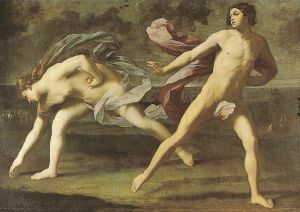 Theme:Aphrodite tries in vain to prevent her lover Adonis to go on a hunting trip. Theme:Ippomenes tricks Atalante in order to win a race. 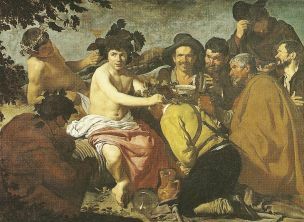 Theme:Peasants offering gifts to young god Dionysus. 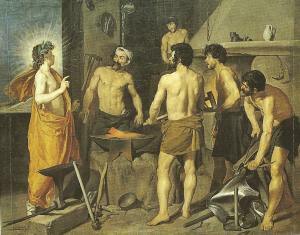 Theme:God Apollo informs god Hephaestus that his wife Aphrodite has cheated on him with god Ares . 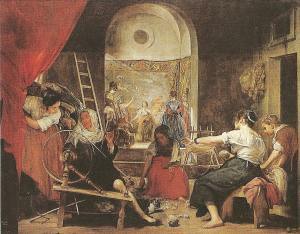 Theme:Athena transforms Arachne into an insect, when she proves to be better than her at weaving.